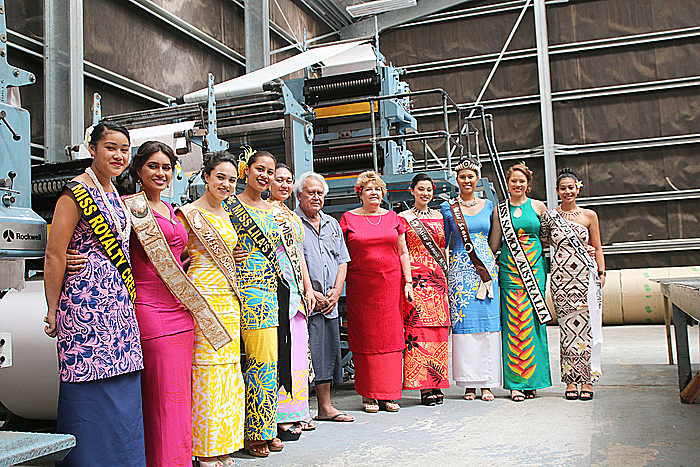 BUSY SCHEDULE: The 2016 Miss Samoa Pageant contestants and the current Miss Samoa, were treated to a guided tour around the Samoa Observer newspaper premises yesterday morning. Showing them around were the Editor in Chief, Gatoaitele Sano Malifa and the Publisher Muliagatele Jean Ash Malifa. After a short break, some refreshments and of course photographs, the lovely ladies were soon on their way to their next engagement.